The Hollywood Reporter. 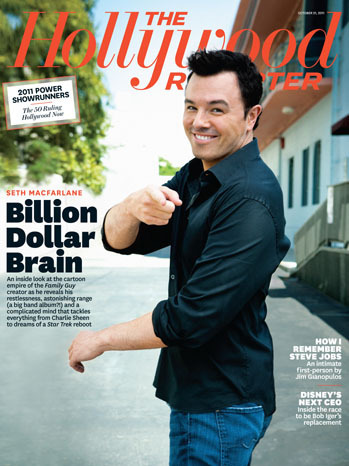 Seth MacFarlane's The Hollywood Reporter photoshoot. Wallpaper and background images in the Seth MacFarlane club tagged: seth macfarlane. This Seth MacFarlane photo contains sign, poster, text, and chalkboard. There might also be street, city scene, urban setting, newspaper, paper, magazine, tabloid, and rag. Again, credit goes to: photographer Kwaku Alston and The Hollywood Reporter.